Frequent moves and spousal deployments makes working in a traditional career almost impossible. 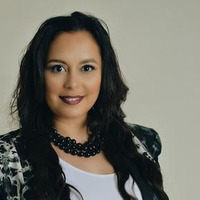 Wanda Arleen Barajas was forced to undergo career changes due to frequent military relocations. She decided to make a change that would enable her to have a portable career in the beauty industry. With over 20 years in the corporate world, a Bachelor's degree in Advertising and Public Relations, and a Master's degree in Strategic Leadership, she decided to branch out and pursue her dream of owning her own business. She became a licensed esthetician in the state of Florida and a freelance makeup artist specializing in helping clients enhance and balance their skin health needs by providing customized services. Through her years of experience, she has learned that being professional, organized, equipped, and accommodating are as important to the final result as the makeup skills. She manages her work in a professional and friendly manner, establishing a reputation for delivering the desired look while creating an open and communicative attitude to the work. As a true artist, she understands and values the importance of advanced education and takes every available opportunity for further training in her field to stay current on products and techniques.